Shakira Isabel Mebarak Ripoll, better known professionally as Shakira, is a Colombian singer, songwriter, dancer, businesswoman, and philanthropist. Born and raised in Barranquilla, she began performing in school, demonstrating Latin American, Arabic, and rock and roll influences and belly dancing abilities. 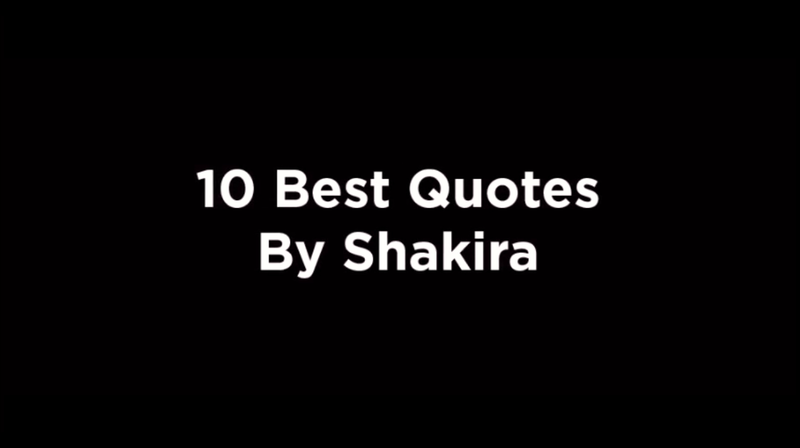 Enjoy the best Shakira quotes.